Lock in a great price for Claska – rated 8.2 by recent guests! The amazing views from the rooftop deck. We were able to capture our last sunset in Tokyo! We had a large, wonderful room. The manager Shinji was the best part of our stay. We loved the grooming room and we watched the cat daycare on the TV. He was so kind and helpful. He even went above and beyond by loaning me his personal cell phone charger. Thanks so much! Adorable boutique hotel off the beaten path. Really cool location we were only there one day but I would love to return to explore the area more. Staff was friendly, spoke English, very accommodating. 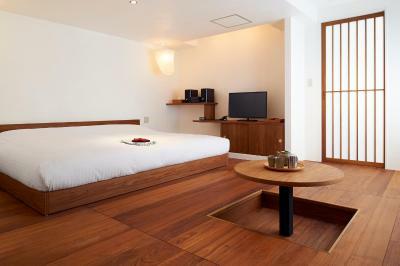 One of the best places we stayed in Japan, would love to return. Their English breakfast was delightful and a great deal. Room was comfortable and really cool. Great shower products and teas in the room. Recommend for folks with a higher budget who want a special luxe experience. 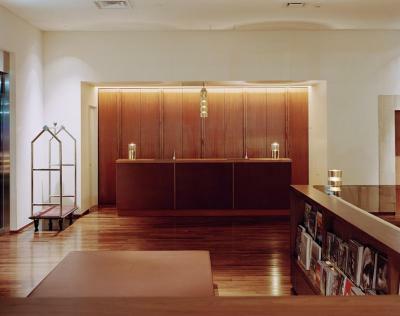 The design of the lobby was really gorgeous and the staff was very hospitable. The gift shop was also beautiful. The staff was friendly and nice. Check in was easy. 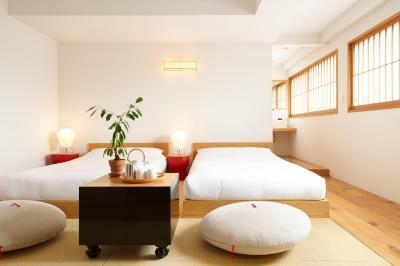 The rooms of this hotel are worth a little walk when looking for dining options and sight-seeing. The room was simple clean and well thought. The bed was very comfortable, and the shower/tub were a nice way to start/end the day. Keep in mind when planning your stay that the hotel is about a 15+ minute walk from where restaurants are located, and a farther distance when factoring in needing to take the subway. 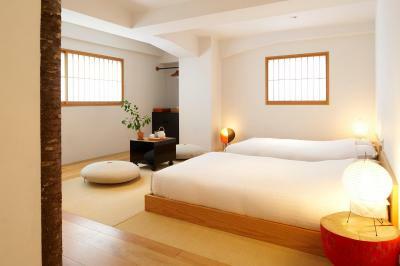 So be sure to factor that in when making plans for exploring Tokyo and taking meals, although there IS dining on-site. The staff is overall friendly and professional. Stylish, comfortable hotel, but in a neighborhood where there isn't a lot to walk to. We loved the concept behind the hotel and the esthetic behind it. Staff was wonderful and very helpful. On-site restaurant had great breakfast options. We liked the fact that the location was a bit secluded, allowed us to reset and feel more at home. There are a lot of great cafes and restaurants nearby. Breakfast in the cafe was great, the gallery shop was fantastic, and the room was lovely yet simple. This is a unique area with great design shops nearby that many tourists may not get to see. 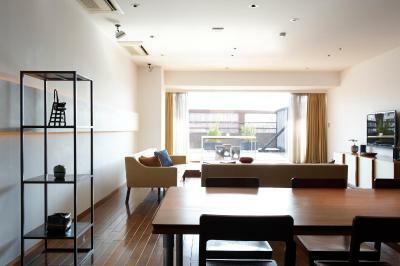 Near quiet cafes and shops, even though it may be a tad bit far to walk to Meguro station. The staff here was really kind. They held our bags while we explored the area before our room was ready. Also, they put our bags in our room which was really nice. Claska This rating is a reflection of how the property compares to the industry standard when it comes to price, facilities and services available. It's based on a self-evaluation by the property. Use this rating to help choose your stay! 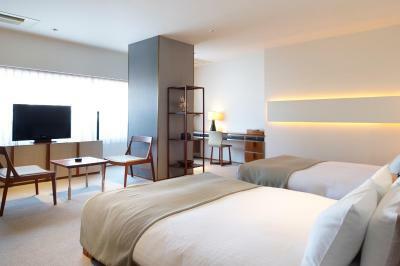 Offering spacious designer rooms with a flat-screen TV, iPod dock and free WiFi, Claska is 1.2 mi from Naka-Meguro Subway Station. It features a gallery, a Japanese restaurant and free on-site parking. 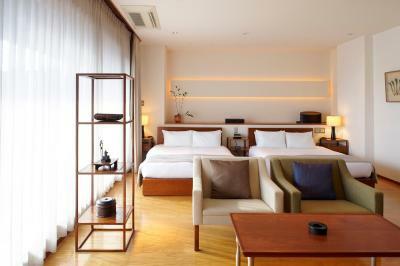 The air-conditioned rooms at Claska Hotel have wide windows and modern furnishings. 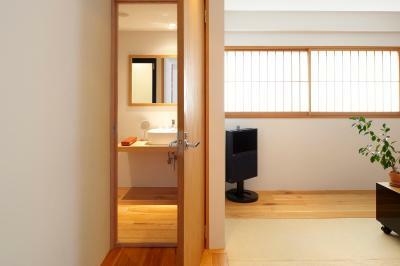 Some come with a glass-wall bathroom or an area with tatami (woven-straw) flooring. All include an electric kettle and a private bathroom with bath. 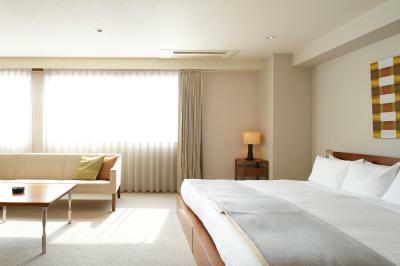 The hotel is just a 1-minute walk from Shimizu Bus Stop. Gakugei-Daigaku Train Station is a 10-minute walk, and offers 7-minute access to the Shibuya area via the Tokyu Toyoko Line. Yuten-ji Temple is 0.6 mi from the hotel and Yebisu Garden Place is 1.9 mi away. You can relax with a massage after a long day, or use a free-use bicycle to explore. The gift shop sells unique items and a concierge is available for travel tips. Kiokuh serves local foods with a modern twist, and is open for all meals. Meguro Ward is a great choice for travelers interested in atmosphere, local food and city walks. When would you like to stay at Claska? 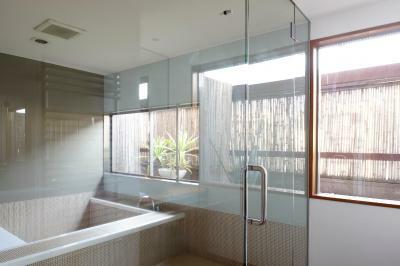 This room features a glass-wall bathroom with wide windows. 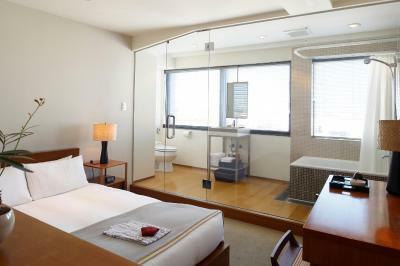 This modern air-conditioned room with a flat-screen TV, free wired internet and a private bathroom with a bathtub. 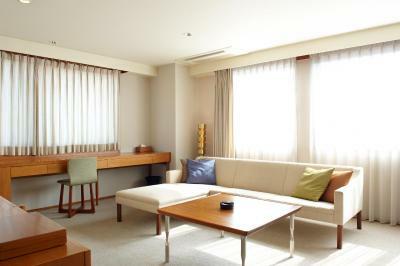 This room features a comfortable sofa, large desk and spacious bathroom. 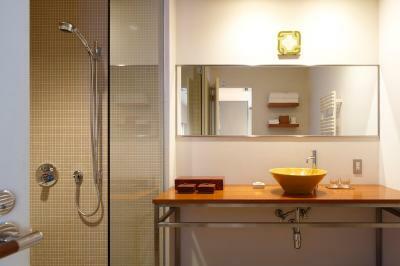 This modern air-conditioned room has a flat-screen TV, free wired internet and a private bathroom with a bathtub. 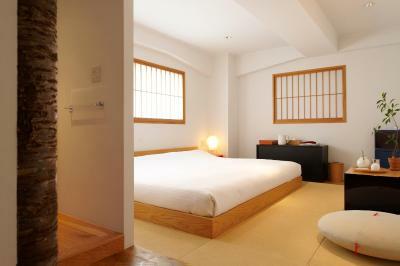 Features a rain shower, an extra large bed (94 in wide) and an area with tatami (woven-straw) flooring. 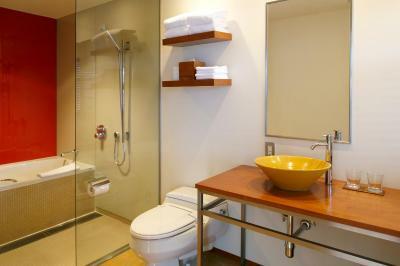 A modern air-conditioned room with a flat-screen TV, free wired internet and an private bathroom with bath. 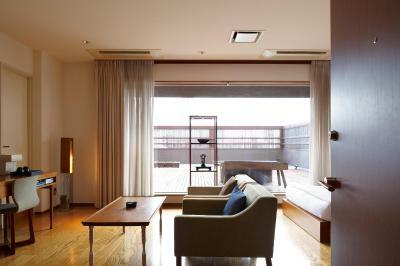 Features an area with tatami (woven-straw) flooring, a rain shower and a view toward central Tokyo. 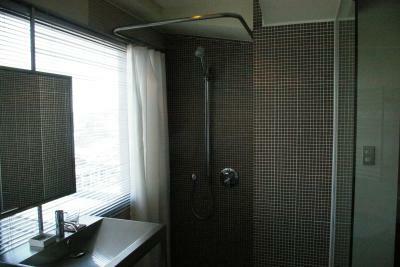 Features a glass-wall bathroom with wide windows and a shower. 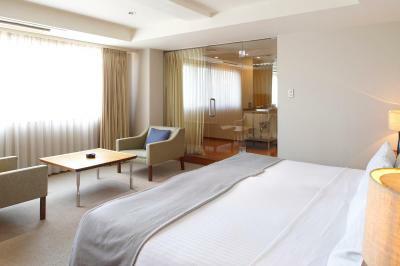 A modern air-conditioned room with a flat-screen TV and free wired internet. Features a spacious private deck, 2 Double beds and a glass-wall shower room with a bathtub. 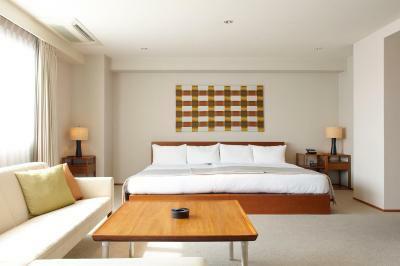 A modern air-conditioned suite with a flat-screen TV and free wired internet. This large suite includes a spacious private deck, a living room with hardwood floors and a sofa, 2 Double beds and a comfortable bathtub. Includes air-conditioning, a flat-screen TV and free wired internet. Includes a 40-inch LCD TV and surround-sound speakers. 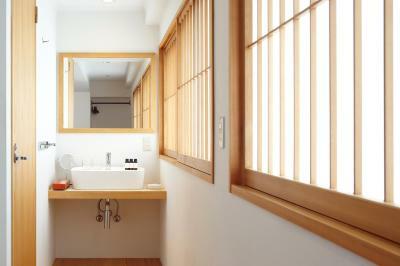 Features a glass-wall bathroom with wide windows and a Japanese-style seating area with tatami (woven-straw) flooring. 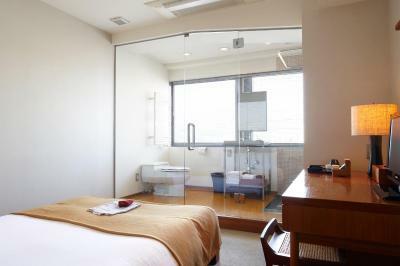 This modern air-conditioned room has a flat-screen TV, free wired internet and an private bathroom with bath. 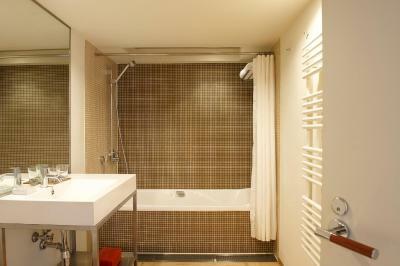 Spacious, modern air-conditioned room with a flat-screen TV, free wired internet and an private bathroom with bath. This twin room features a iPod dock, bathrobe and air conditioning. This twin room features a CD player, bathrobe and air conditioning. This twin room has a CD player, electric kettle and iPod dock. This nonsmoking double room features a CD player, bathrobes, air conditioning and an private bathroom equipped with a bathtub. Hotel surroundings – This neighborhood is a great choice for travelers interested in atmosphere, local food and city walks – Check location Good location – show map Guests loved walking around the neighborhood! House Rules Claska takes special requests – add in the next step! Claska accepts these cards and reserves the right to temporarily hold an amount prior to arrival. Only the Deluxe Twin Room can accommodate an extra bed. We found the distance to the nearest train station a bit far. Other than that, no complaints. I loved everything. Only slight drawbacks (should NOT deter you from staying here I loved it so much and will return! ): Further away from central Tokyo, slight walk to the nearest subway station. Building is a bit older and had some wear and tear in the hallways but all cosmetic and still charming. Did not detract from our amazement at this lovely hotel at all, just a note. It was also a bit noisy in our room due to high winds but shaking the window panels but again no fault to the hotel. 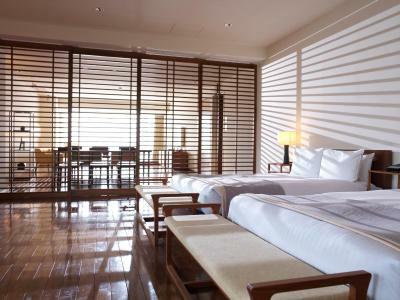 We stayed in a tatami room so there were more traditional window coverings, allowing a lot of beautiful light into the room which isn’t great if you plan to sleep in (there are no blackout curtains) but for us as early risers it was fine/welcome. 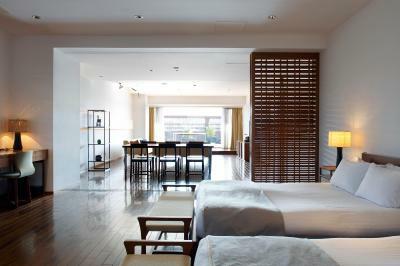 Beyond the public spaces, the hallways and guest room were lacking and in major need of cosmetic renovation. The walls were scuffed around the room, the bathroom needed caulking in multiple places and the wood surfaces throughout the room needed refinishing and a new seal. There was also no coffee service available in the room and the downstairs cafe didn't open until 7:30am. My husband and I had to catch an early flight, so we were disappointed at not having the option to make coffee in our room. For the price, we expected the room to be cleaner and nicer and for better amenities. The restaurant and coffee shop are part of the lobby and the evening I stayed the whole area was taken up by a private party that was very loud and raucous. I was given full warning this was happening once I booked but effectively it meant there was no common space to sit or have a drink in the hotel. The staff were super friendly and helpful and the guide the hotel provides on how to get about Tokyo was excellent. My room was very clean and comfortable. the staff was courteous, friendly, and helpful. at night, the gentlemen at the front desk made reservations for us at Kawasaki, which the three of us loved. thank you for making that happen. it was a special experience for us. also, on our way to the airport, I forgot my bag in the lobby and the staff member, whose name I didn't catch, she brought my bag out to me. she was very helpful and courteous. I couldn’t get the optimum position for the shower head. 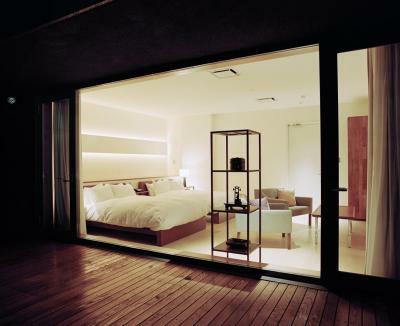 Beautifully designed minimalist aesthetic with spacious rooms, sleek mid century wooden furniture and huge bed. Staff were exceptional, knowledgeable and helpful and prepared us an extensive itinerary for our onward journey from the hotel. Great breakfast and interesting shop and gallery on the first floor. The restaurant looked fancy, but not much range. The neighbourhood near there was super cute and trendy, but a bit of a way out of central Tokyo, depends how much you care about that. The room was HUGE by japan standard! The staff, restaurant, and rooms were all excellent. The inclusion of a design center, library and the consistently fantastic (but not intrusive) music selection made the whole stay a real pleasure. I loved the concept of giving guests bikes to tour around the Meguro district. A highlight of the vacation! The staff was exceptionally friend, as well.